The Toronto Environmental Alliance (TEA) will be canvassing this summer in the community. TEA has been around for over 27 years, and advocates on behalf of all Torontonians for a green, healthy and equitable city. They work on a range of issues including air quality, climate change, the greenbelt, public transit, toxics, and waste. TEA’s hard work over the years resulted in getting green bins across the city, passing the pesticide ban in Toronto and passing the Community Right to Know bylaw. To learn more about TEA, you can visit www.torontoenvironment.org. Take a few minutes to chat with a canvasser from TEA at your door and learn more about what you can do to help build A Greener City for All. You can also get an update on TEA’s recent local victories, get a copy of the new dry clean scorecard, and find out what you can do to help build a Greener City for All. The following items will be before the Committee of Adjustment on Wednesday, June 24, 2015 in Committee Room 2 of Toronto City Hall, 100 Queen Street West. Within the files below you will find instructions on how to submit your comments to the Committee of Adjustment and how to sign up to speak. If you have any questions or comments, please email me at councillor_layton@toronto.ca or call (416) 392-4009. PURPOSE OF THE APPLICATION: To legalize and to maintain the conversion of the first floor restaurant billiard area into restaurant seating that was completed without a permit. PURPOSE OF THE APPLICATION: To construct a detached carport in the rear yard. PURPOSE OF THE APPLICATION: To construct a rear two-storey addition. To demolish a detached garage/ancillary building at the rear of the lot; and, to replace the detached garage/ancilliary building with a parking pad. PURPOSE OF THE APPLICATION: To alter the existing two-storey semi-detached dwelling by constructing a canopy over the front porch. PURPOSE OF THE APPLICATION: To construct a new three-storey detached dwelling. PURPOSE OF THE APPLICATION: To construct a rear outdoor patio servicing the main floor restaurant of the existing two-storey mixed use building. PURPOSE OF THE APPLICATION: To convert the existing two-storey semi-detached dwelling containing two dwelling units into three dwelling units. The Great Heart Festival is a free, 4-day unplugged daytime music series in the heart of Trinity-Bellwoods park. The ‘unplugged’ literally means that there will be zero electricity powering the performances. So you can expect to see/hear completely unique arrangements of songs from emerging musicians from Toronto, and around the world. For more details, see the Great Heart Festival Facebook page. 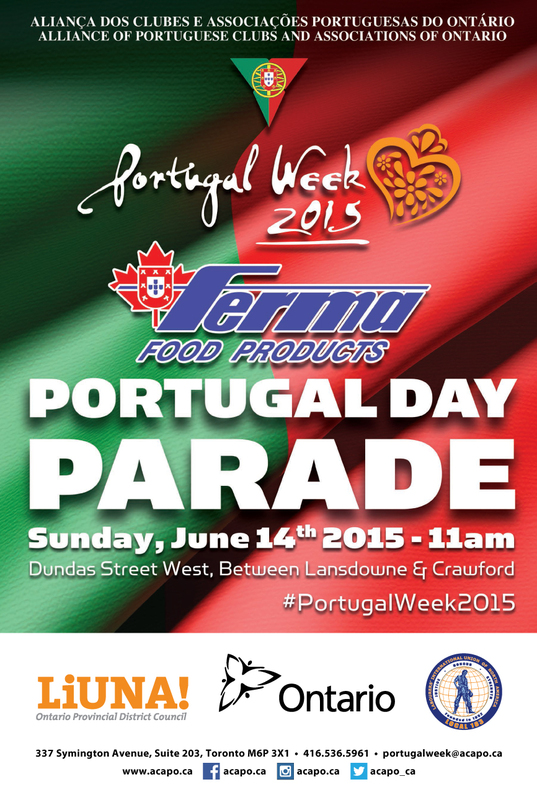 On Sunday, June 14, 2015, at 11 am, the Portuguese Day Parade will take place. Event organizers anticipate 10,000 participants, 100 motor vehicles, 40 floats, and six musical bands. Motorists can expect delays in the area and should consider alternate methods of transportation. The TTC will be re-routing buses during the event and will experience delays. The parade will take place regardless of weather conditions. Filming will be taking place in Trinity Bellwoods on Wednesday June 17th between 12 and 2pm. No streets will be closed as part of the filming. Filming Location(s) & Times: 12 pm – 4 pm; 790 QUEEN ST W – one hour interview with two subjects.